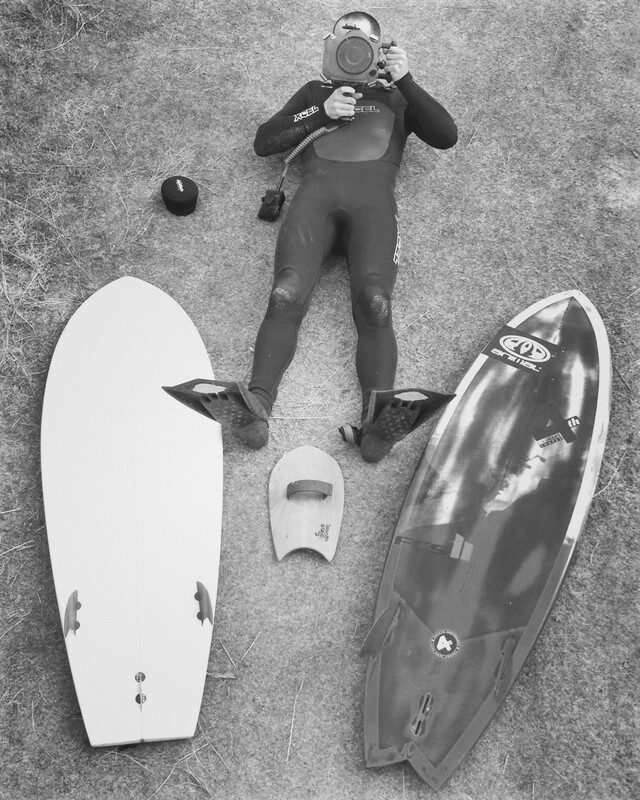 Mr B has has been one of the most prominent names in surf film making in the UK for many years, creating a series of high performance feature length British surf movies, called Substance, Driven and Performing Monkeys, which remain unsurpassed in their quality to this day. More recently B has worked on various short films, including ‘Offline’ & ‘Mantungu’, which were screened to much acclaim at the London Surf Film Festival. Since Alan has worked with B extensively, we gave him the chance to kick things off with a few questions of his own. AS: Working with you from a surfers standpoint I’m always impressed with the amount of time and dedication you put into shooting and producing these films, especially in our not so consistent UK surf. What got you started in film making? Did is just naturally evolve from your time spent surfing and wanting to document what you were seeing or is there more of a back story? AS: Do you feel the online surf film has kind of gone full circle and is now starting to represent the old vhs or dvd style of surf film rather than a quick 3 min edit with a track, do you think people are having to dig a little deeper to uncover a little more story line? Or is it just a case of on the internet there’s enough room for all. B: I don’t think it’s come full circle, as shorter online edits are still the more dominant, and I think the full 50 minute plus surf film is definitely rarer. But I do think, and hope, that audiences are willing to put a little more time into an online film now, as the limitations of cramming everything into 3 minutes is starting to become repetitive. I also think there’s more thirst for watching surfing on the big screen – to share the experience with other people and I really hope that grows and films aren’t just seen on phones forevermore. AS: You seem to love shooting water at any opportunity and can swim endlessly for days, tell us a little bit more about why this captivates you so much? B: It’s by far my favourite part of my job, but I think I developed even more of a hunger for it when I was making my surf DVD’s back in the day, I often felt pressure NOT to film in the water incase I missed anything so just stayed on land for safety. When you’re making a 50 minute film you need to amass a large amount of good footage! 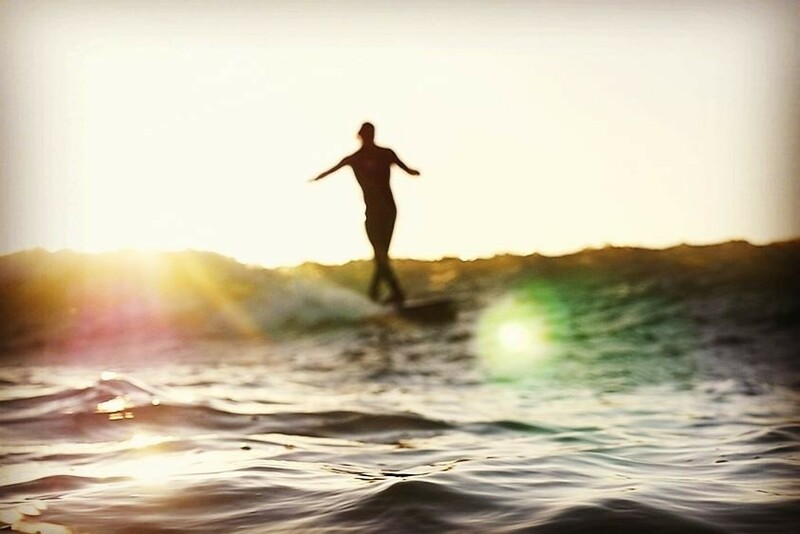 When I came back to surf filmmaking I remember thinking to myself I would completely flip that around and make water footage my main focus, and to work extra hard at it, and I’m far happier for making that decision! WL: Your latest project m y c a n v a s featuring Alan Stokes just had its world premier at the Approaching Lines International Surf Film Festival. Tell us a little about the film, your thoughts on the final finished production and the reaction from the audience as they watched it for the first time? B: It was a really nice project to work on, Animal (Wetsuits) were really supportive in the direction Stoker and myself wanted to go so we had a lot of freedom. It’s a very personal film to Stoker so it was good for me to try and help him articulate his outlook on boards, surfing and life through film and we worked very closely to make it a genuine reflection of his thoughts. For me it was a great opportunity to try some different styles within one film because of the variety of boards, waves and pace. I think the film was received really well, there were lots of hoots and felt like a good atmosphere in the pretty much full cinema. WL: Music is massively important to the overall feeling of a film, surf and music seem to go hand in hand so well. Can you tell us a little about the music you chose for this production and did you work with any local talent? B:Music is usually the trickiest, although sometimes you luck out and the perfect track lands at your feet. For this film we were trying to get several different feels into one film so we needed a wide range. We were lucky enough to get a great track by Ruarri / William The Conqueror who’s a super talented and successful artist from Newquay and was also chuffed to discover some beautiful music by Hanging Valleys (who also surf). I’m really chuffed with the soundtrack as a whole. WL: How is it working with Stoker on these projects , you guys seem to have a good working relationship going and have compiled quite a few films over the years. Does Alan just go surfing and then leave the rest up to you or is he quite hands on through the whole process? B: Stoker is real hands on, and seems to get as much of a buzz from being part of the creative process as surfing. It’s great to work with someone who wants to create and work towards a goal rather than just paddle off and surf, it especially helps when shooting water footage when you’re working and communicating together. And just being friends for such a long time means we’re past worrying about anything and can just be honest about everything along the way, throw about ideas and have fun doing it. WL: There are quite a few different boards being thrown around in m y c a n v a s. Did you guys have a shoot list for each board and what you felt would look good on each craft? WL: Cheers boys, look forward to seeing more exciting projects from you both soon.